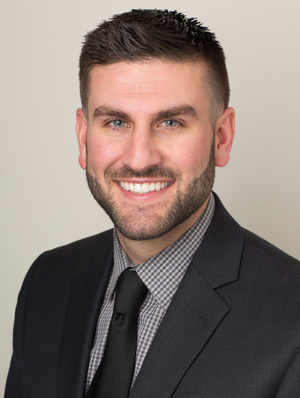 Joseph R. Lucia is an associate in the firm’s Injury Resource and Litigation Group, Legal Defense of Peace Officers Practice Group, and Collective Bargaining Practice Group. He has worked with the firm since 2000. Joseph’s primary practice area is as a member of the firm’s personal injury trial team. This group specializes in obtaining successful results in civil litigation for personal injuries, including industrial accidents, product liability, professional malpractice, auto, bicycle, premises liability and maritime accidents. Joseph litigates catastrophic injury cases, including a high volume of on-duty peace officer cases. Joseph is an integral part of the RLS litigation team and has successfully obtained millions of dollars in damages for clients, including family and friends of peace officers. During Joseph’s tenure with Rains Lucia Stern, PC he has gained a vast amount of experience representing law enforcement clients in disciplinary and criminal actions, including critical incidents. Most significantly, Joseph was involved in the criminal and civil defense of former BART Police Officer Johannes Mehserle who was charged by the Alameda County District Attorney’s Office with the murder of Oscar Grant. Joseph was given the assignment of “second-chair” to Michael L. Rains during the criminal trial of Johannes Mehserle in Los Angeles County Superior Court. Joseph also assists the firm’s labor clients in collective bargaining matters, including contract negotiations, grievances, retirement benefits, and arbitrations. Joseph has also participated in various teaching engagements and POST-approved seminars addressing use of force training, the use of video during investigations of critical incidents and in civil litigation, and on the importance of automobile drivers possessing underinsured/uninsured motorist coverage. Joseph earned his bachelor’s degree from St. Mary’s College of California, where he was a member of the last fielded football team before it was disbanded after the 2003 season. Joseph earned his law degree from John F. Kennedy School of Law while working full-time for Rains Lucia Stern, PC. He is licensed to practice all state courts in California, U.S. District Courts for the Northern and Eastern Districts of California and the Ninth Circuit Court of Appeals.